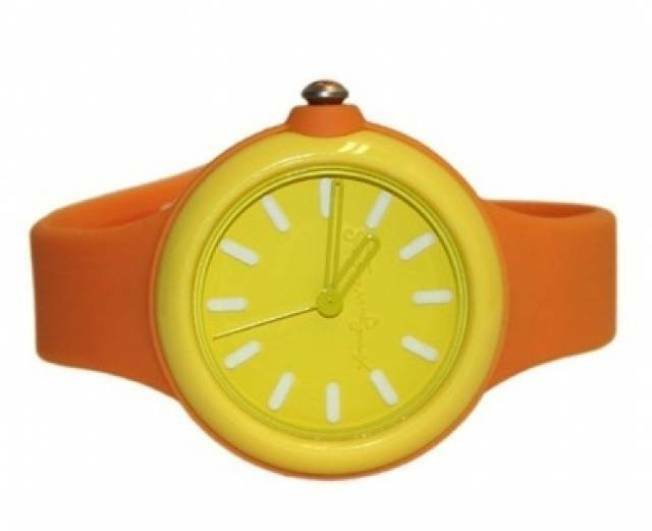 Add some color to a dreary day with a lively timepiece. HOW SWEET IT IS: Strolling down Oak Street is a tough task if you’re on a diet, thanks to the irresistible bake shop, Sara’s Pastries and Candies. Now you can make her creations in your own kitchen with Chicagoan Sara Levy’s new cookbook, “Sweetness: Delicious Baked Treats for Every Occasion.” French macaroons and cupcakes, here we come. What diet? FASHION WEEK PERKS: Celebrate Chicago Fashion week at Le Dress, where shoppers will receive a can’t-miss deal each day during the week. Thursday receive 10 percent off a total purchase, Friday get 15 percent off all stylish outerwear , Saturday score a complimentary goody bag with each purchase and Sunday accessories are buy one get the second half off.